Your oral care regimen plays an important role in keeping your teeth healthy. Dr. Kenneth Sharp, your McKinney, TX family dentist at Stonebridge Ranch Smiles, shares several suggestions that can help you improve your oral health. 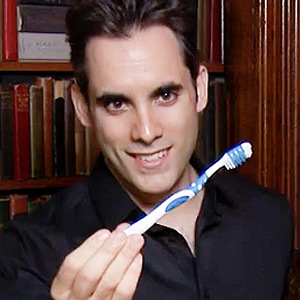 Did you know that many people don't brush long enough? If you quickly pass your toothbrush over your teeth, you may not remove all of the plaque. Plaque, a sticky, transparent film that contains bacteria, coats teeth and interacts with sugars in foods to create acids that attack tooth enamel. Brushing for at least two minutes twice per day is the best way to prevent plaque buildup. To avoid missing a spot, start at the same place every time you brush and make sure each tooth receives a thorough brushing. Brushing is an excellent way to remove plaque from the visible surfaces of your teeth, but toothbrush bristles aren't thin enough to reach between teeth. Flossing once per day removes plaque between teeth and also gets rid of food particles that can lead to bad breath. If it's hard to reach your back teeth with floss, use products specifically designed for tight spaces, like floss picks or interdental brushes. Mouthwashes don't just freshen your breath but can also kill the bacteria in plaque and strengthen your enamel. Look for mouthwashes that contain fluoride and are labeled "anti-cavity." Visiting Dr. Sharp in McKinney every six months is one of the best ways to maintain good oral health. If you do develop a cavity, it will be detected when it's still small and hasn't yet caused significant damage to your tooth. Skipping a dental cleaning can raise your gum disease risk. No matter how carefully you brush and floss, you can still develop tartar, a hard deposit that forms if plaque isn't removed promptly. If tartar remains on your teeth long enough, it may damage your gums and eventually cause bone loss. Since the deposit can only be removed with special dental instruments, twice-yearly visits are a must. Keep your smile bright and healthy with a good oral care regimen! Has it been a while since you've seen Dr. Sharp, your McKinney, TX family dentist? Call (972) 984-1882 to schedule an appointment at Stonebridge Ranch Smiles.